With a shared commitment to exceptional design and quality, John Lewis and Swoon have collaborated to create an exclusive furniture collection for the modern home. 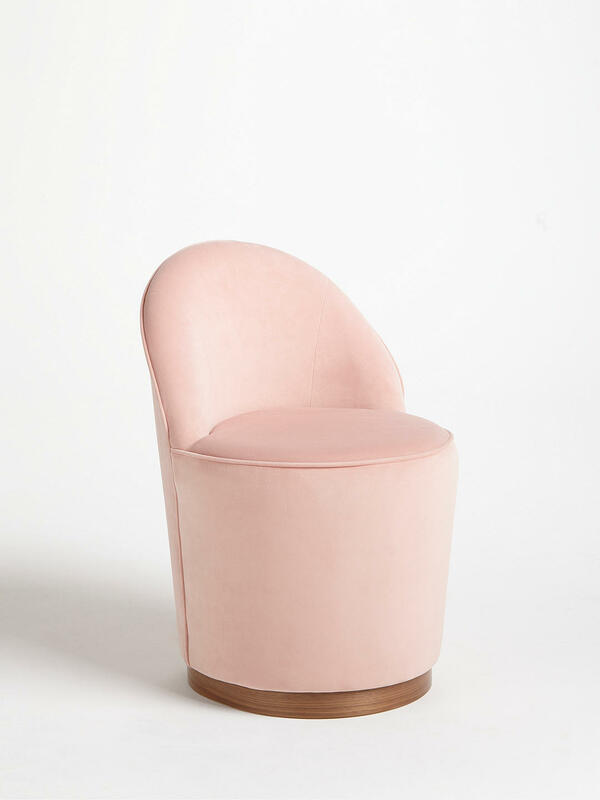 Crossing a tub and cocktail chair, the Olive has a boutique feel that will elevate a room. Perfect for parties the half-moon back, slightly tapered base and piping detail show off the chair's curves and nod towards Art Deco design. 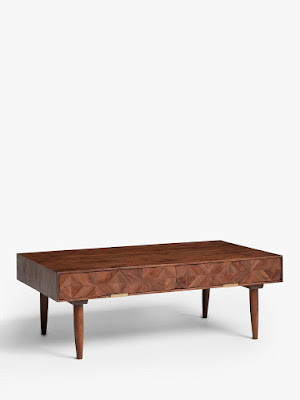 The Franklin coffee table uses marquetry techniques to create a tactile, geometric facade. Offering a wide surface top, its two integrated drawers are designed with wood that's been cut at angles and then reassembled in a tessellated design. Playing with light and shadows, this living room centrepiece highlights the variety of its natural wood grains. The Mendel sideboard marries an impressive wood construction with subtle highlights of art-deco inspired design. An offset grain direction emphasises the natural beauty of its acacia wood and veneer profile, that's accented with sleek, geometric inlaid lines of brass. The Vinci is a minimalist's dream. 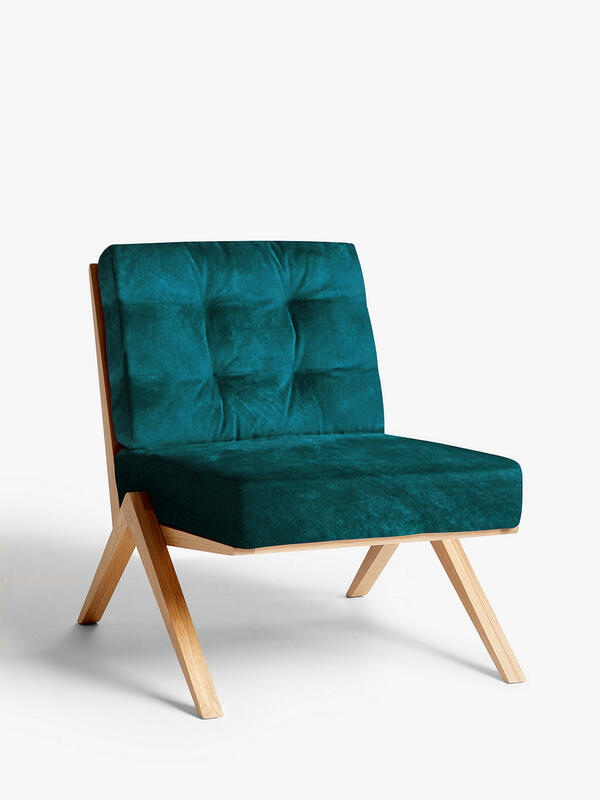 Quietly stylish, the exposed wooden frame, tapered tips and armless body work together for a streamlined look. These are offset by the tufted cushions which serve up some comfy character. 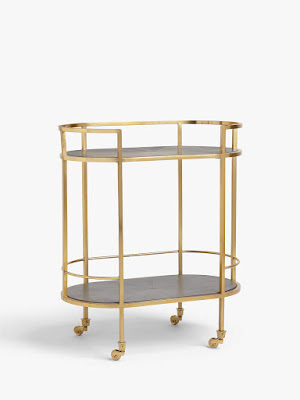 The Lovelace bar cart is inspired by the modernist architecture of the famous De La Warr pavilion in Bexhill-on-Sea. Crafted with two mango wood shelves, each finished with a starbust marquetry, it provides a beautiful base for your barware and bottles, while its carefully curved gold-toned frame lends an art-deco inspired contrast. 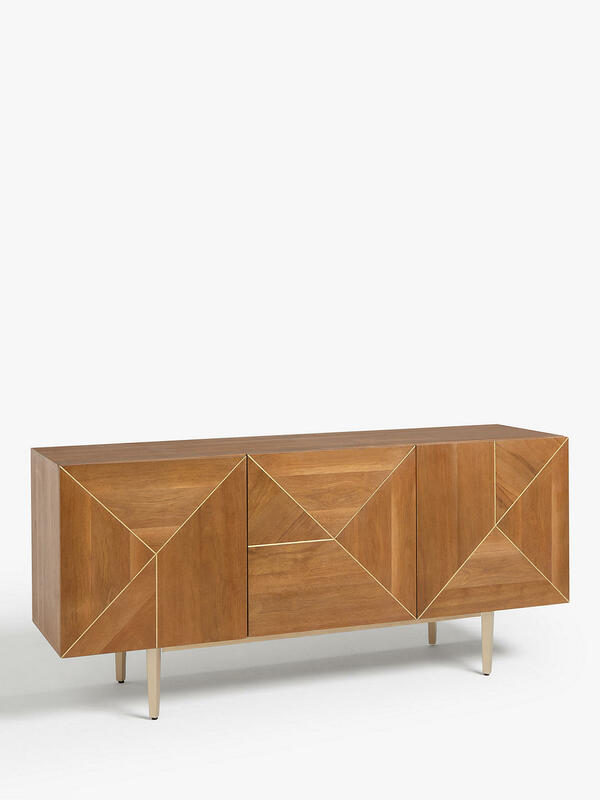 The Beauvoir Sideboard embraces a retro, art-deco aesthetic, with a design inspired by Prohibition-era wallpaper. 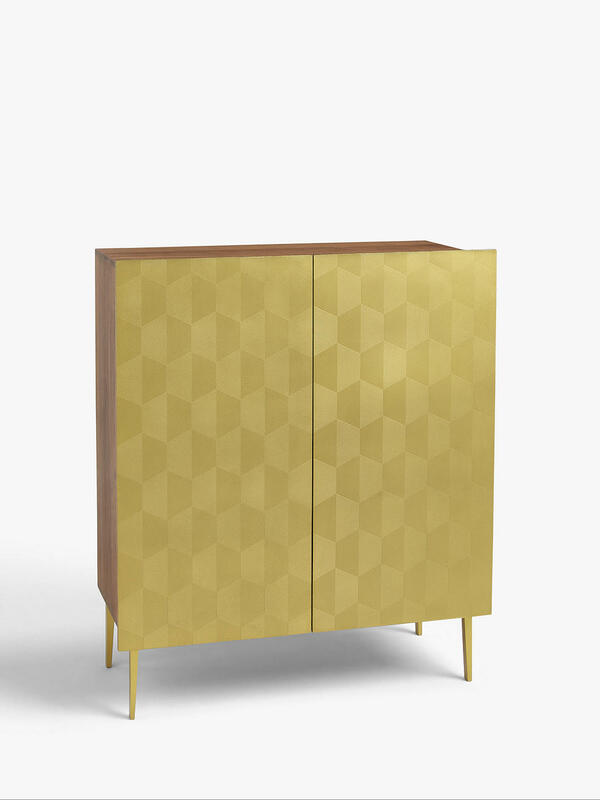 Each door is crafted from a collection of individually embossed brass tiles, and its geometric, hexagonal pattern has an almost 3D effect. The Lyon racks up the points for both style and comfort. 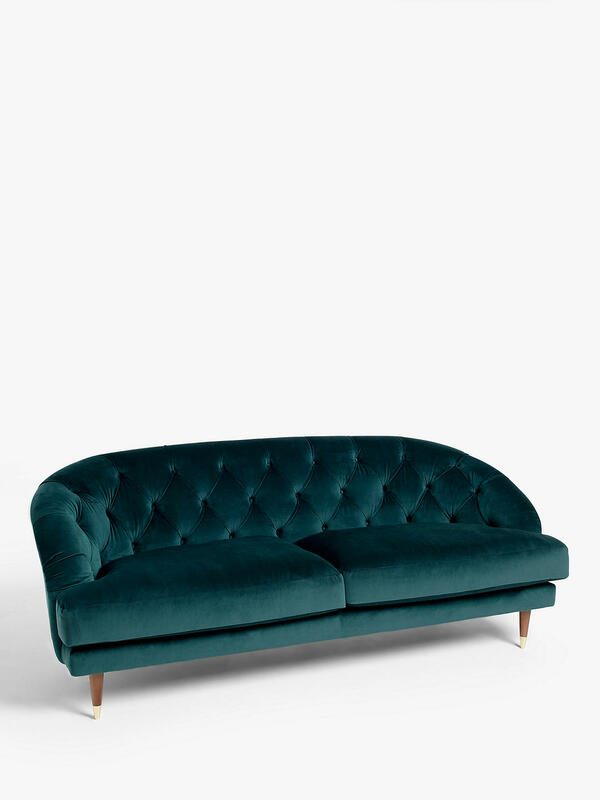 The button-tufted back and piping details are style statements, whilst the brass-capped tapered legs create a Mid-Century feel. Bolster cushions along the inside of the arms make a comfortable spot for relaxing. 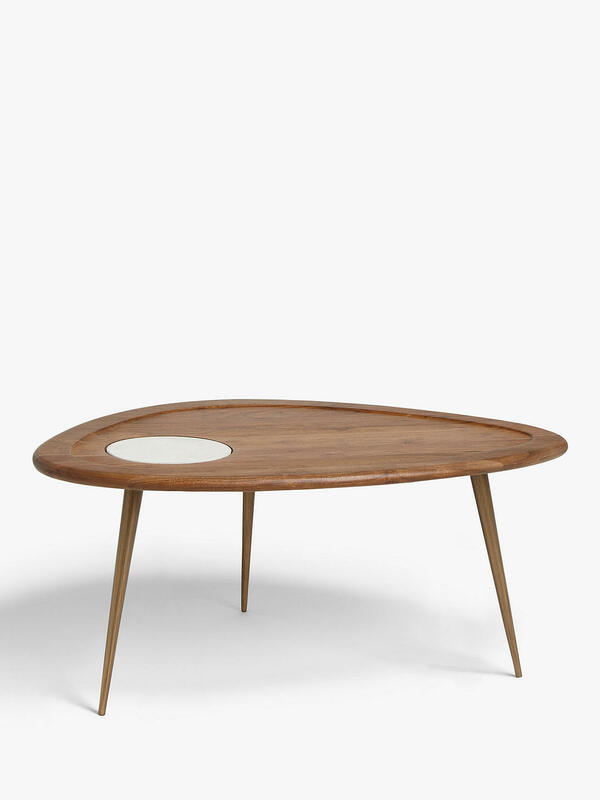 The Brunel coffee table boasts a pared back, utility design. 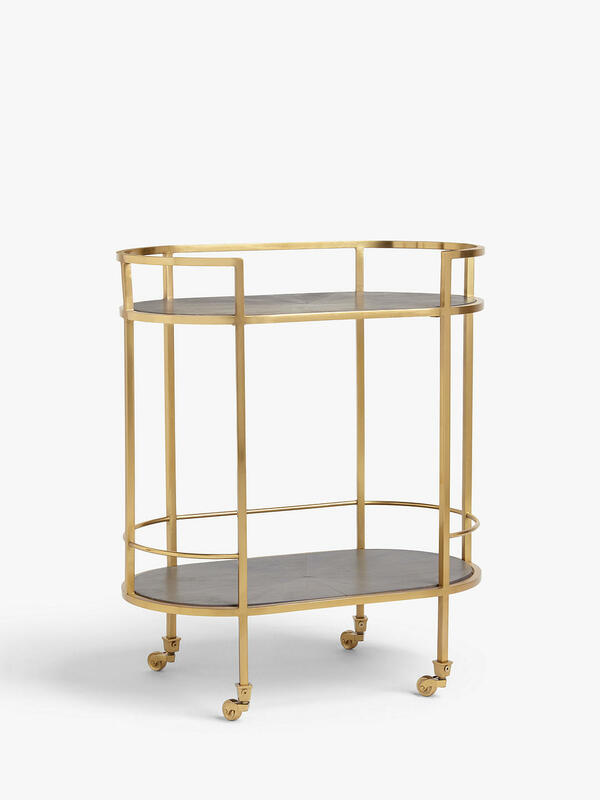 Celebrating a mix of materials, its supported by a sturdy metal frame that lends an industrial-inspired quality. 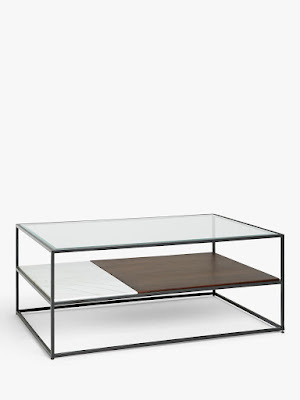 The top shelf, crafted from smooth glass showcases the tactile marble and mango wood shelf that sits below. 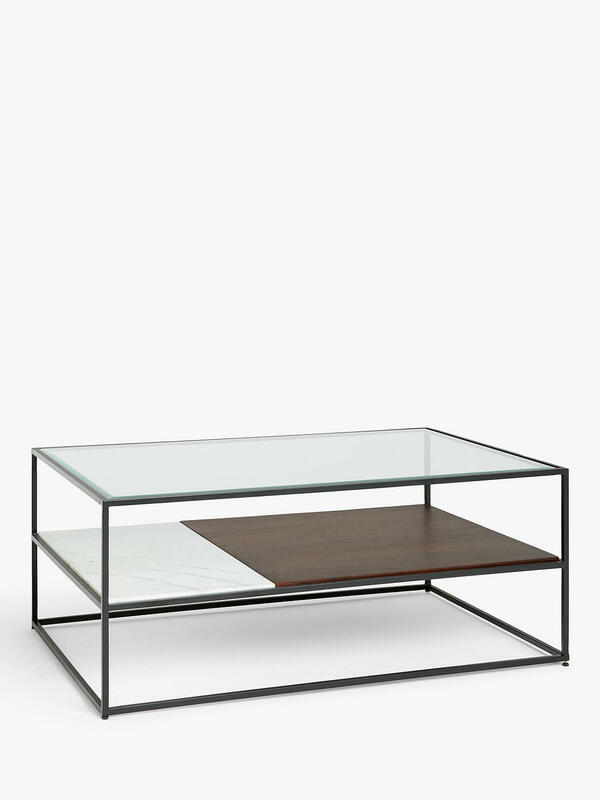 This boxy piece is ideal for showcasing your accessories, and versatile for almost any interior decor. The Wren coffee table incorporates a Mid-Century inspired quality into its organic, smooth design. Its soft, rounded profile features a tray edge finish, that lends a tactile, retro-feel. Complete with an accent of sunken white marble, this table will become a feature piece in your living area. The Radley is truly palatial, as if its come out of a country mansion drawing room. Featuring pleated button tufting along the back and a wonderfully curved back it instantly creates a regal feel in the lounge.